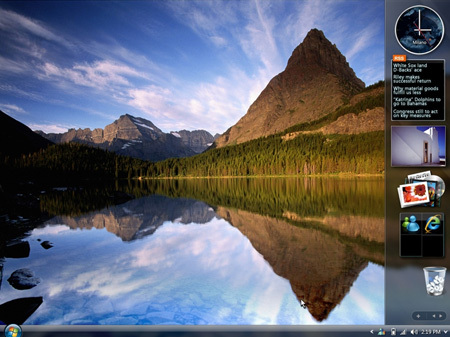 This weekend I took the plunge and tried Windows Vista on my desktop PC at home. The result: I like it! It is quick, the graphics are refreshing new and most of the software I own works. I know that as with most systems if you do a fresh install, the speed of the OS is the first thing you notice. So comparing it with a 2 year old Windows XP SP2 installation with loads of updates and installs and uninstalls of not fair. I have been trying Vista since it came out in Beta. I have installed it on Tablet PC’s and as a virtual machines under VMware. Most of the problems I had were due to some hardware features which were not yet supported under Vista or where VMware did fully supported of the OS. There has been a lot of flag about the security messages a user gets when he or she is doing something the OS things to be a security issue. I cannot say that I find this a problem. I am used to locking down desktops and making it impossible for users to install software and making change the OS. That of course is in a business environment. But I think home users should apply some of principles at home as well.